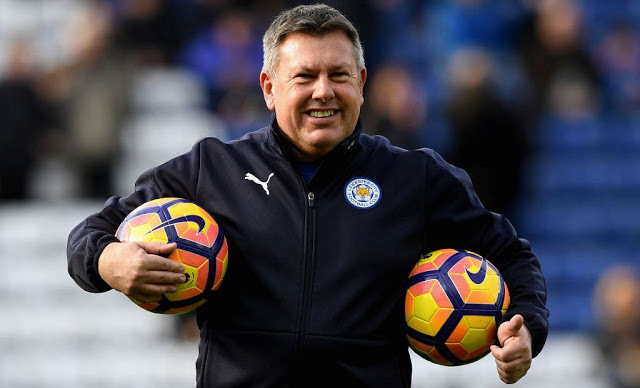 England U21 star believes that the exit of Craig Shakespeare at Leicester will help him become a better player. The former Birmingham wonder kid has seen his chances of game time increase under new manager, Claude Puel. Gray has stated his frustrations at lack of opportunities at the King Power Stadium under the former manager, calling that his development has been ‘held back’. The speedy singer signed a new long-term deal at the club last week in light of his new found opportunities under Puel. He has been revitalized by the arrival of the former Southampton boss, and isn’t the far away from a full senior call-up. Gray has now totaled 170 minutes of action in two league games under Puel, a stark contrast to the fact that he played just 235 minutes under Shakespeare. a similar story last term under Claudio Ranieri, as he played juts a total of 1,038 minutes. England manager, Gareth Southgate is a big fan of the youngster, but has stated that he expects him to be playing regularly for his club to be considered for selection. Speaking ahead of England U21s Euro 2019 qualifier against Ukraine on Friday, Gray said, “Being in and out of the team is not good,’ ‘You see the players that are getting selected. A lot of them are playing regular football at their club and we all know what Gareth is about. If you are in good form and doing well at your club, he will put faith in you. ‘That is why I felt very disappointed at times because I felt I was being held back by not playing. I know what I’m capable of. I think with my last few performances I have started to show people what I can do.’ He added. There are high expectations for Gray in the English setup, though he needs to be more consistent to fulfill his undoubted potential.